Please type your desired tags, e.g. Chemistry, Economics, Hyperpolarized MRI, Biochemistry and Biophysics, Critical Media Studies, Computer Science, Epigenetics, ChIP-seq, Communication Theory, Organizations, Strategy and International Management, wind energy, International Development, Leadership, Trope of monstrosity in literature and film, Identity and Selfhood, and etc. My research interests encompass the synthesis and characterization of novel polymeric materials for applications in organic electronics and medicine. 2006–2006	Quasi-Living Grignard Metathesis Polymerization for the Synthesis of Regioregular Poly(3-Alkylthiophenes), 231st ACS National Meeting, Atlanta, GA, United States, March 26-30, 2006. 2018–2018	Materials from Conjugated Polymers for Applications in Electronics, July 2006, Plextronics, Inc.
2018–2018	Advanced Macromolecular Design: Towards Conducting Polymers with Tunable Properties, December 2005, Bowling Green State University. 1998–1998	Some Aspects Regarding Anionic and Ionic-coordinative Polymerization of .s-Caprolactone, IUPAC Macro 1998, Brisbane, Australia. 2004–2004	Regioregular PoIy(3-Alkylthiophene) Conducting Block Copolymers Synthesized by Atom Transfer Radical Polymerization, World Polymer Congress IUPAC Macro 2004, Paris. Conjugated Polymer-Quantum Dot Networks for Hybrid Solar Cell Applications, Plextronics Inc., 01/01/2008-12/31/2008, $50,000. Rational Design of Semiconducting Polymers with Tunable Opto-Electronic Properties: An Interdisciplinary Program for Research and Education, NSF (DMR), 03/01/2010-02/28/2015, $490,000. Semiconducting Liquid Crystalline Polymers, Welch Foundation, 06/01/2010-05/31/2013, $160,000. MRI: Acquisition of a 500 MHz Multinuclear NMR Spectrometer for Multidisciplinary Research at the University of Texas at Dallas, NSF (Chemistry), 10/01/2011-09/30/2014, $374,360 (from NSF) and $160,440 (cost share from UTD). NSF-REU Supplement: Rational Design of Semiconducting Polymers with Tunable Opto-electronic Properties (DMR-0956116), 06/01/2012-09/01/2012, $6,500. Emil Buzdugan, Mihaela C. Iovu, Horia Iovu, Chemical Reactions of Polymers, Printech, 1999 (In Romanian). 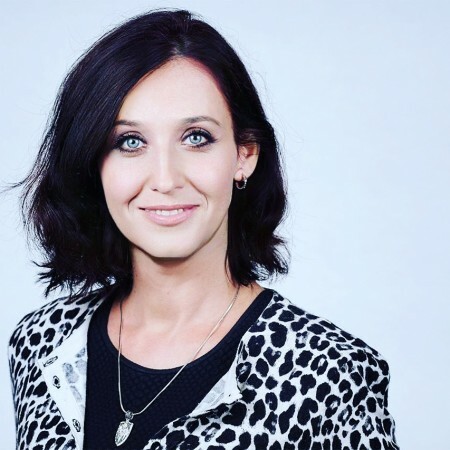 While she was pursuing her bachelor’s degree in chemical engineering in Romania, Dr. Mihaela Stefan had doubts over whether she truly enjoyed her field of study. It wasn’t until her junior year, when she encountered the hands-on approach of a professor for the first time, that she understood the importance of quality teachers. 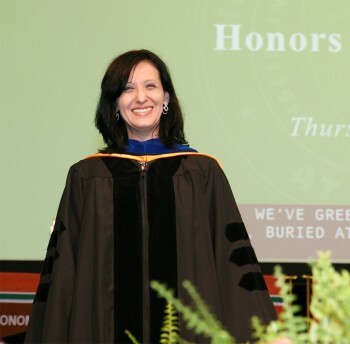 Dr. Mihaela C. (Iovu) Stefan has received a distinguished National Science Foundation (NSF) Career Award, given to junior faculty members who exemplify the role of teacher-scholars through outstanding research and education. The award is for $490,000 over five years. Stefan, an assistant professor of chemistry and affiliate to the Materials Science and Engineering Department, has taught at UT Dallas since August 2007. 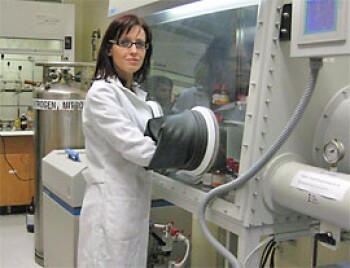 She is an expert on polymer chemistry and organic electronics, which she uses to study renewable energy.